On Tuesday this week, I cried at the Melbourne Cup. Why? It can all be traced back to the fact that I’m a die-hard, massive fan of supporting people to move in the direction of their dreams, and most importantly, to have their dreams come true… in the flesh… for realsy. 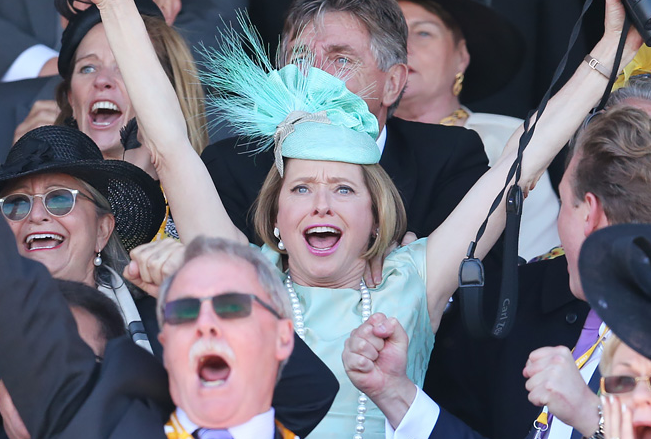 Gai Waterhouse has a name that is synonymous with horses and racing. For decades she has woken up early mornings, to work hard and devote her life to her true calling of training horses for greatness. On Tuesday, I watched on at Flemington as Gai’s horse, Melbourne Cup favourite Fiorente, strode solidly towards the front of the thunderous pack in the final seconds. And then… in a spectacular case of dreams come true… time stopped for me as I entered a vortex of utter joy, inspiration, awe, and pure love while watching the energy rise up through Gai’s chakras only to explode out of her eyes, mouth, limbs, and crown all at once. KaBOOM! Her horse had crossed the finish line in first place. She’d won. Another dream realised. Go Gai. Go Gai. Go Gai. Hi all, I wanted to share the impact of your inspirational magazine on my life… Issue 146 ran an article by Eloise King on “Saying Yes to Money“, a title that I confess, initially didn’t really speak to me, but I try to give each article a chance, so I began to read. As I did so I was encouraged to examine my ideas of money. After I read the article my view on money and being open to bigger possibilities began to take shape and I felt perhaps I should be more open to receiving the blessings that life (or God) has in store for me. Not long after this a beautiful old house came up for sale, and as we had considered looking for a larger home for my family and my wellness practice, we went and viewed it. Initially though, old thought patterns arose with the typical “it’s too grand for us; it’s the kind of house that belongs to someone else… not us” and of course the well worn line of… “isn’t it is safer to just stay where we are and can we really afford it?” Once again, I contemplated the words of wisdom offered by this article; taking on Eloise’s suggestions and working on my inability to surrender to life (and the blessings it offers) as well as compassion, especially towards myself. Then I watched the changes take place… unexpectedly, people came into my life at this time, encouraging us to dream big dreams and have faith that they are achievable. And so… …we dreamed big dreams… Hence, here we are, just days away from moving into our beautiful grand new family home and wellness clinic on 14 acres (pictured below). Isn’t she beautiful!?!? There is more space and peace for family, fiends and clients, it is just unbelievably exciting. Sometimes I take and breath and simply cannot believe it. Thank you WellBeing for your inspiration and encouragement to dream our dreams and live them!! 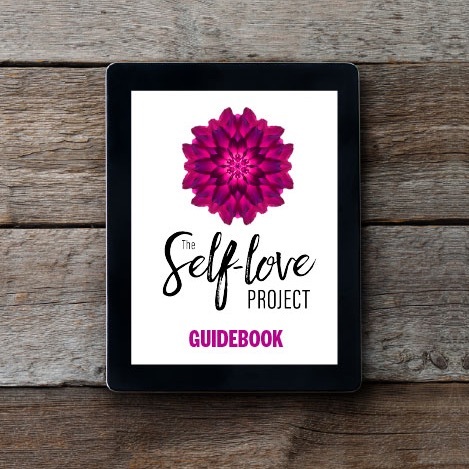 Please pass on my love and gratitude to Eloise… and let her know if she is ever in the Gundagai area (halfway between Sydney and Melbourne) she is welcome to drop in for a latte or a herbal tea and help see just what she has inspired!! KaBOOM! Simone got the extra space that she needed for her family and business and the house of her dreams. More tears. Good tears. Go Simone. Go Simone. Go Simone.